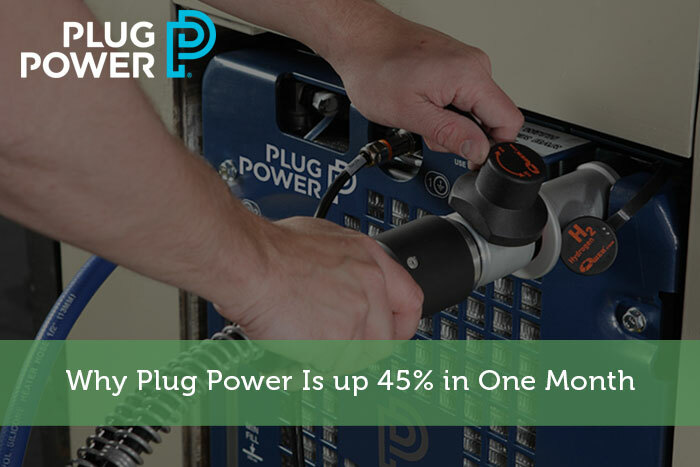 Plug Power Inc (NASDAQ: PLUG) has a solid run in the bourses recently. Investors are showing interest in the company as it is engaged in the design and manufacturing of hydrogen fuel cell systems which would replace conventional batteries in equipment and vehicles powered by electricity. The stocks related to electric vehicles, lithium battery, and hydrogen fuel-related stocks are in great demand this year. Two companies are in the forefront in the hydrogen fuel-cell manufacturing, namely Plug Power and Ballard Power Systems (NASDAQ: BLDP). The company released its fourth quarter and full-year 2019 results on March 07, 2019. Revenue grew 78% to $62.1 million and beat median analyst estimates by $1.42 million. Earnings per share came at -$0.08 compared to -$0.09 for 4Q 2017, which was shy of estimates by 1 cent. Adjusted EBITDA came at $0.5 million compared to a -$7.6 million for the same period last year. This was the first time the company was able to achieve positive adjusted EBITDA and the management expects this trend to continue. The company sold 1,700 GenDrive units when compared to 700 for the same period last year. There were three GenFuel sites sold this quarter. This helped the sales to soar. On a full year basis revenue grew 75% to $175 million. The management expects revenue growth to continue on account of strong growth in the material handling market. It will also announce four business announcements in 2019. Gross billings are expected to grow to $235 to $245 million. The company’s cash flows are negative. Another concern is that the debt is increasing and the management needs to improve the cash flows immediately and also make the debt repayments on time. The material handling industry uses full-service GenKey solution. Some of the features are these are designed to increase productivity, lower operating costs, and reduce carbon footprints. The company replaced lead-acid batteries to power industrial vehicles such as lift trucks customers use in their distribution centers. In December it announced the expansion of deployed GenDrive fleet at the Daimler manufacturing facility in Alabama. Daimler had deployed more than 400 Plug Power GenDrive systems in the material handling vehicles prior to this expansion. Riley FBR has resumed the coverage on the stock with a $3.50 price target which suggests an upside of 40% to the current price. Riley likes PLUG’s opportunities to secure a global distribution agreement with a well-capitalized, integrated solutions provider to expand customer reach in Europe, Asia-Pacific and certain Latin American countries, and establish a joint venture or partnership with one of the major industrial gas companies to secure a stable supply of hydrogen and drive down cost per kilogram. Risks: The market cap is only $620 million. So there will be a lot of volatility. The company is yet to make profits. If there is an alternative to fuel cells then the revenue could drop significantly. Conclusion: This is a high risk and high return stock. With the stock already up 93% year-to-date there could be some profit booking. Revenue growth is very strong. However, the company should be able to make profits and then it would attract a lot of long-term investors.